With the extreme heat we have been experiencing we are reluctant to take further orders until the current orders have been dug. If you see something you really like - Please ask as I will need to carefully check supplies before accepting your order. Many varieties will be available again next season assuming these tough plants recover from the extreme heat. We apologise for any inconvinence. Orders will be available bare rooted in Autumn after flowering and iris deliveries (I will beging digging and dividing soon and some will be availbale in pots after this - this will be competed by early May when I will re-assess stocks. 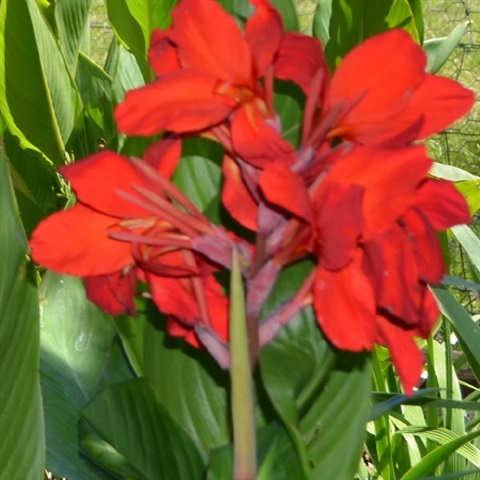 Prices on this site are for bare-rooted daylilies. 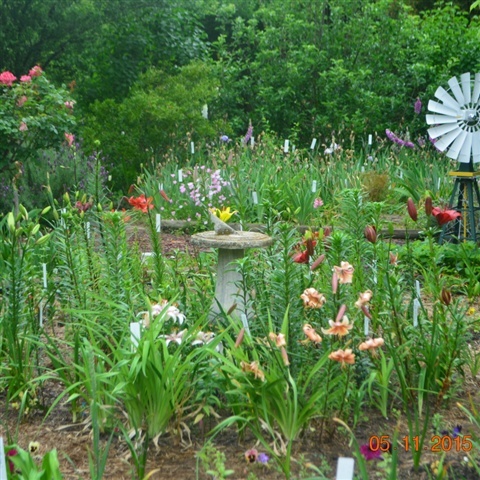 The daylilly garden was first established in March 2013 as a display garden. More daylilies will be added to the online shop as the plants clump up enough for us to divide them. All photographs are copyright and additional photos will be added throughout the year as they are named, resized and uploaded. All prices include GST which will be shown on your invoice. (The term VAT equals GST). Display establish in mid 2015 - Daylilies in 3 circles and Liliums in the centre.Limited numbers available.